There are reminders of the division of Berlin everywhere. We walked the trail of the old wall recently, passing the new American Embassy, the spiffed up Brandenburg Gate and the rebuilt Reichstag. All along this route there is a double line of bricks marking the path of the infamous wall, which divided Berlin from 1961 to 1989. 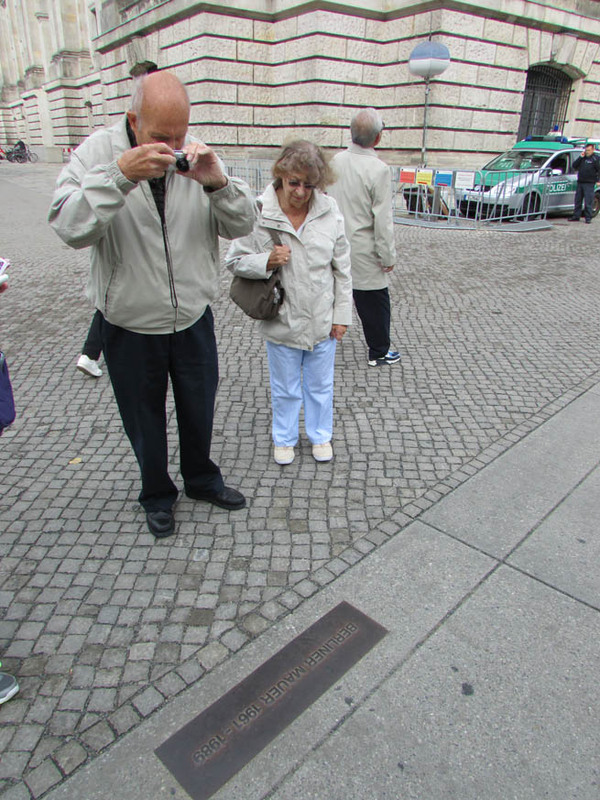 Here our current guests Ken and Gloria Temple photograph this marker near the German Parliament. 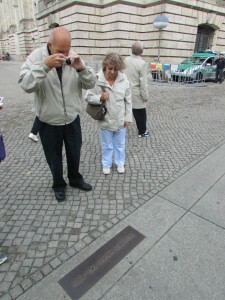 Posted in Europe Tours, Germany Tours and tagged berlin, brandenburg, gate, marker, wall.